Remember that post I did earlier this year about trying out Carb Cycling? Yeah, that didn’t work. I gave it my honest go, I stuck to the rules described in Chris Powell’s book. Problem is two fold 1) I refuse to weigh and measure my food because I have a very long history of disordered eating and 2) without weighing and measuring food on this plan I actually gained 10lbs and did not improve my strength (meaning: it was fat/water and not muscle). 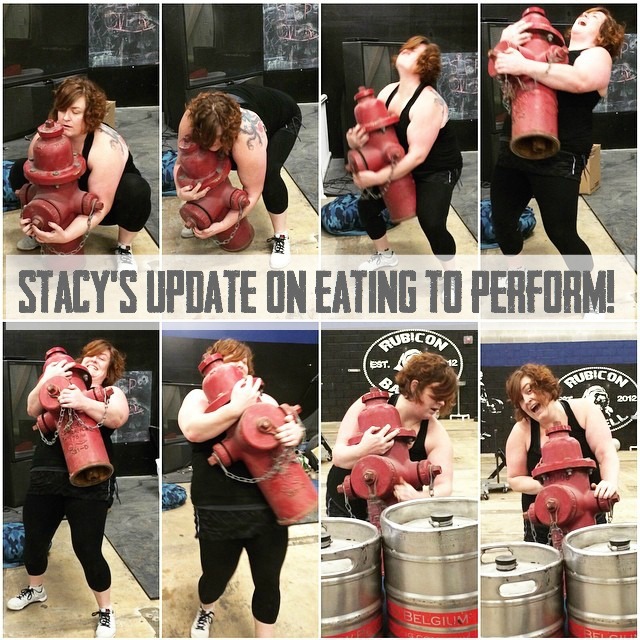 I actually switched back to the regular Paleo fueling system before the Roanoke contest that I won (and subsequently received my first invitation to Nationals from). We talked more in-depth about why there is actually a biological reason that carb cycling doesn’t work as well as Paleo for athletes on The Paleo View podcast Ep 105 with Mark Sisson, too. So, what DO I eat that makes me feel my best and helps keep up my strength in the gym? I know you’re probably anticipating a really long post here… but I’ll give you a spoiler: the answer is actually quite simple. I use the approach Stephanie Gaudreau discusses in The Paleo Athlete, and now I can also point you to her first (fabulous) print book, The Performance Paleo Cookbook. As I’ve discussed many times before (I know, I’m tired of hearing myself talk about this too), nutrient dense foods are the key to nourishing and fueling our body. The problem with the advice in the carb cycling book was that so many of those carbohydrate dense foods lacked the kind of nutrients my body needs for strength and energy: amino acids, iron, B12, Vitamins A, E, D, and K2. You know the best place to find those nutrients? Meat and vegetables! Daily soup, usually for breakfast. The collagen-rich broth helps eliminate a lifetime of joint pain, while the plethora of vegetables are filled with antioxidents and vitamins needed to replenish my cells and boost my energy. Plus, because I don’t have a gallbladder this “pre-digested” meal is easy on my system and one of the few full meals I can tolerate in the morning. Daily salad, topped with protein, usually for lunch. Again, veggies are important – they’re my main source of calcium and they make me feel great when I eat them – likely from all the energy-boosting vitamins! Ideally I eat seafood on my salad, since the amino acids are easiest for digestion and Omega 3 fatty acids incredibly important (plus canned tuna and salmon are easy to pack in my lunch). Sometimes I’ll even add plantain chips to my lunch if I’m feeling hungry or know I have a big workout planned for the evening. Dinner, usually includes protein and more dense carbohydrate. When we’re on-schedule and life is great, I ideally like to workout before dinner. 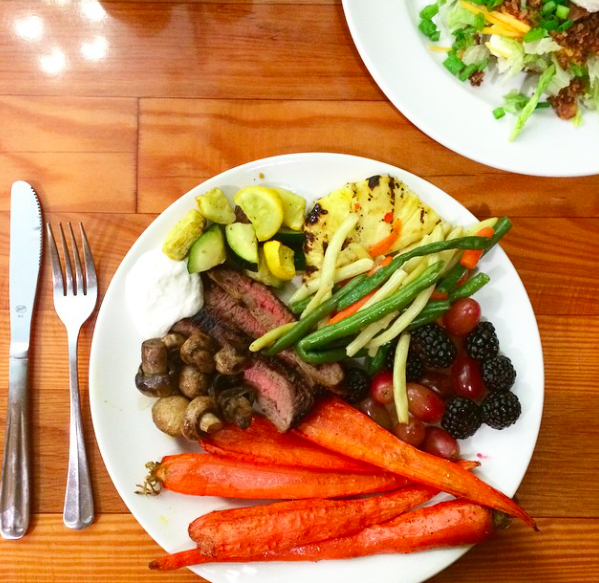 This makes dinner an ideal post-workout refuel, which is focused on protein and carbohydrate. Carbohydrate before bed can also help with better sleep (due to circadian rhythms and hormone regulation), so I find that this evening punch of carbs serves two-fold for me. Snack, as needed. As Steph recommends, if I haven’t eaten in more than 3-4 hours it’s pre-workout I try to eat something higher in fat that will sustain me. From homemade jerky to dark chocolate with coffee with grass-fed butter or heavy cream, I don’t need much and find that I do best when my stomach isn’t full when working out. If, however, dinner was before working out, I do make a point to ensure I eat something with carbohydrate and protein after, I’ve found that organic yogurt from pastured cows does this well for me, but other ideas can be found in The Performance Paleo Cookbook, including the awesome recipe we’re sharing today! Now, because the meals I eat are rich with vegetables, they’re also moderate in carbohydrate. I’m not adding sweet potato and yuca to my soup and salad – but the greens, carrots, and other vegetables have some carbohydrate. They also have fiber, which depending on how you calculate carbs might not count for you. Nevertheless, for me, they’re essential to me feeling and performing my best. I find that the more micronutrient dense foods I eat, the faster I recover after strenuous work outs. Matt and I have recently started consistent training for Smolov, which is a specific training program to improve our overall strength with intensive back squatting. We’ve also been supplementing with some metabolic and upper body training, but the programming appears to leave Matt in a much greater state of muscle soreness than me. I will point out that he does not focus on nutrient dense foods the way I do. I remain steadfast in my assertion that nutrient sufficiency (through consumption of nutrient dense foods) reduces delayed on-set muscle soreness (DOMS), which means getting into the gym to do more work faster! So, finally we have a recommendation on how to eat to both fuel yourself and consume nutrient-dense foods with the arrival of The Performance Paleo Cookbook. We personally made the Mocha Rubbed Slow Cooker Pot Roast with a grass-fed Heritage Hollow roast on a Christmas morning breakfast and I was thrilled to find leftovers later that I then ate with some greens cooked in broth – see, nutrients! 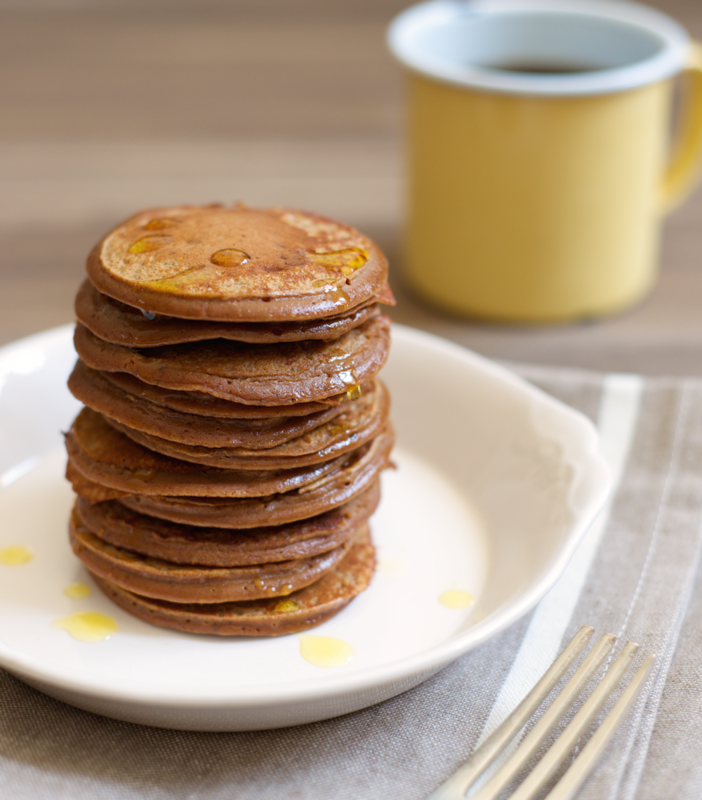 This will definitely become a regular dish in our home; but, in case you’re worried the cookbook isn’t kid-friendly, I asked Steph if we could share the one the kids loved making, Cocoa Almond Plantain Pancakes. The boys loved these, I’m telling you this book is NOT just for athletes – it’s all about learning how to fuel for body for your own activity level! 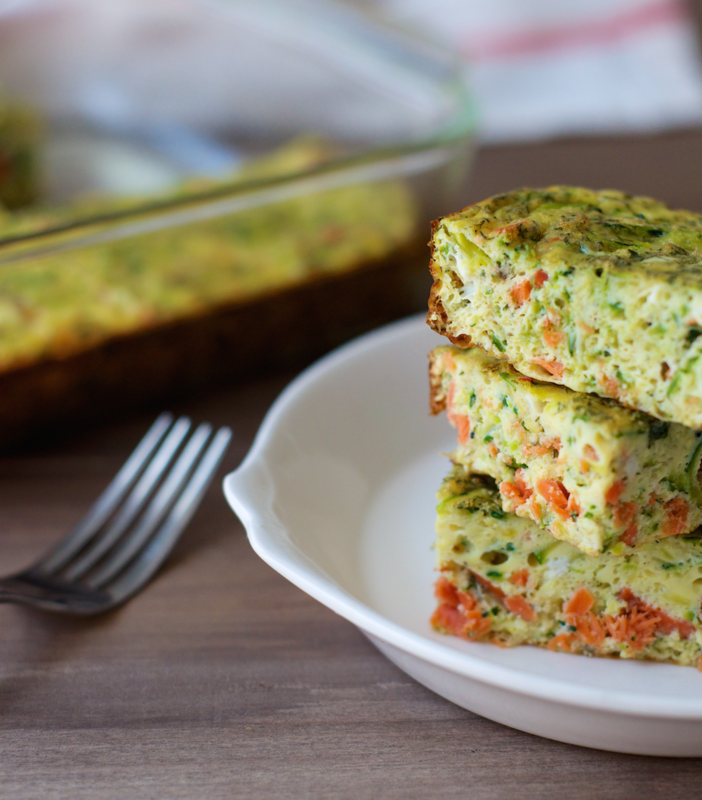 The other recipe the boys picked out and loved when paging through the book was this Smoked Salmon Egg Bake. It might surprise you, but our boys love smoked salmon. I’m sure, in part, that has to do with how much we encourage the consumption of salmon – an incredibly healthful protein. We may also have convinced them that anything smoked is delicious, because that’s how bacon’s made. It’s all about the sell, my friends! Regardless, when we were paging through The Performance Paleo Cookbook Cole specifically flagged this recipe as something “maybe Daddy can make in the morning instead of scrambled eggs.” Indeed, they loved the dish, how portable it was, and it made a great pre-workout snack! With their protein and healthy fat profile, eggs make a fantastic pre-workout food. They’re rich in essential nutrients like vitamin D, choline and folate and are a rela-tively inexpensive way to incorporate more protein into your diet. In this recipe, I bumped up the veggie content with the zucchini and green onions. 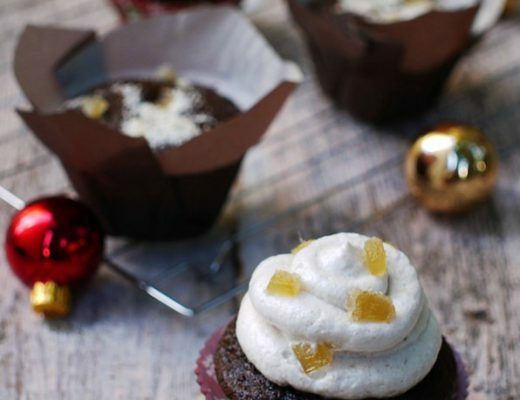 Cut into squares, and take them with you on the go! Sidenote: if you haven’t yet noticed, Matt & I no longer (usually) do book reviews on the blog. 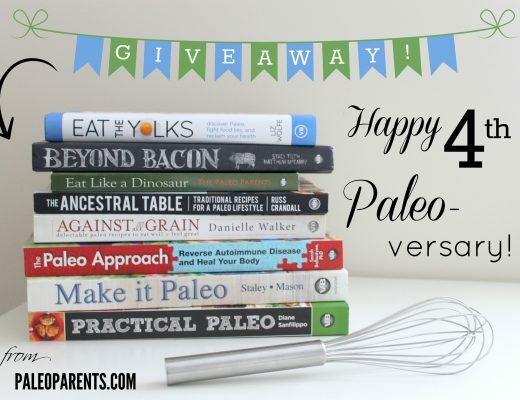 It’s just too hard to keep up with all the wonderful the Paleo community produces and find that instead we’d rather let the authors tell you about their projects through recipe shares and guest posts, that way you can choose for yourself and we don’t have the pressure of reading a book a week! But sometimes, very seldom, a book comes along that blows our mind and makes us WANT to write about it. 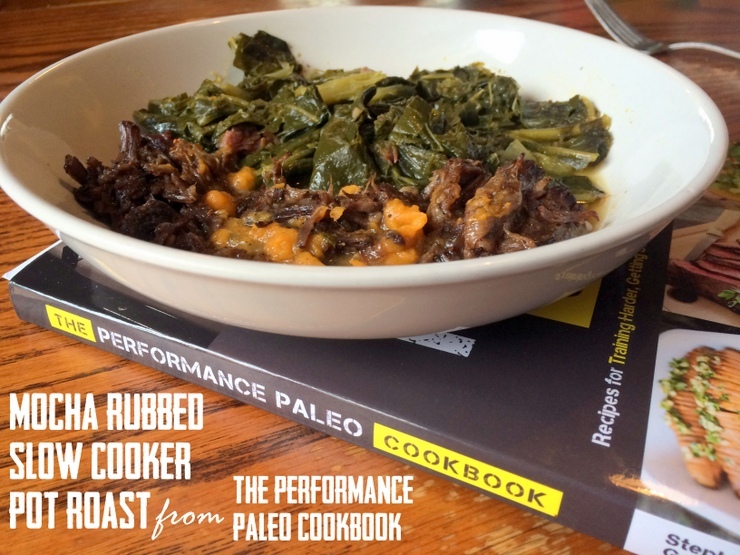 The Performance Paleo Cookbook is just that. The kids paged through and found a TON of recipes they wanted to try, like turkey veggie meatloaf, pizza burger bites, duck fat potatoes, 5 min tortillas, and/or lemon vanilla custard with sauce. 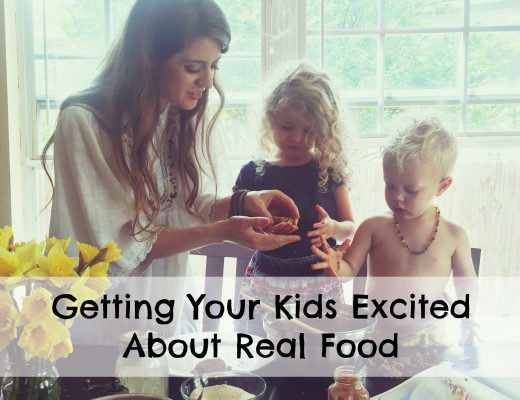 No seriously, the list is endless and recipes incredibly family-friendly.